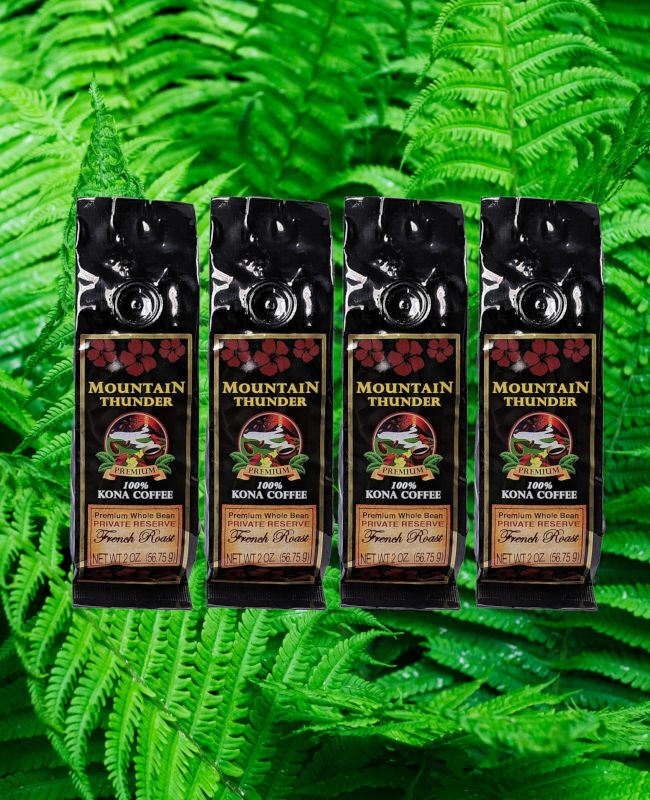 Four 2 ounce packs of whole bean or ground 100% Kona Private Reserve coffee. Great for gifts and trying something new. This pack is four items of one roast. Choose our variety pack for multiple roasts per pack.